Identity theft incidents are on the rise yet again. They are the reason why we rush to call up our banks as soon as we lose our wallet, they are the reason we change our passwords and they are the reason we breathe a sign of relief when we hear about ID theft and it’s not us who are affected. We are sure that anyone who gets their hands on enough of our personal information might use our credit cards for making purchases, commit fraud and/or ruin our reputation by pretending to be us. With the increased popularity of the internet, the practice of identity theft has boomed alongside and is more sophisticated every year. People’s identities are now being stolen while they are sitting at home doing nothing. Identity thieves may steal your personal information from the web, or social networking sites, or they may hack into your device using their own Wi-Fi network, or the combination of internet sources. All in all, it is an unwelcome scenario to anyone. We look at a few cases of Identity Theft to illustrate how crafty the ID thieves have gotten and how dire the consequences might be to an unsuspecting internet browser. Arguably one of the most elaborate identity theft instances to have been carried out over the internet, Abraham Abdallah was arrested in 2001 for impersonating a bunch of America’s richest executives and celebrities. He used the identities of some of the richest and most powerful persons to breach credit card companies and banks. Abdallah, an ordinary restaurant busboy, was able to steal millions from famous personalities like Warren Buffet and Steven Spielberg. He did all this form a library computer in Brooklyn. Lara Love and David Jackson were a couple who lived in California. The two of them were arrested in 2009 for ID theft charges. This California couple tapped into the wireless network of their neighbours to access and steal personal and sensitive information like social security number and credit card details for money laundering. They stole the identities of around 30 people during their spree. This is a case of stolen identity over social networking sites. Chrystal Trammell fell victim to ID theft when Rebecca Nakutis used her personal information to create a fake profile on social networking site Facebook. She used this account to send fake threating messages to Trammell’s family members which eventually led to a restraining order against Chrystal. Nakutis was the wife of the man against whom Trammell was fighting a case for the custody of her child and she tried to twist the case in her favour using this fake profile. In 2013, the case of Carder.su was brought to the notice of authorities. It was a website on which credit card information was sold to people. An undercover agent spent four years on the website to determine the extent of its operation and reach, finally catching a 22-year old when he sought to buy a fake driving license from the agent. The IDs would either be stolen from the person or via the internet. They would then be sold on Carder.su. Back in 2014, in Jackson, Mississippi, Tony Jones, was sentenced to 105 months in prison, 3 years of supervised release and ordered to pay $222,137 in restitution. According to court documents, the scheme involved stealing names and social security numbers of individuals and later filing fraudulent federal tax returns for the purpose of obtaining fraudulent refunds. The refunds were electronically deposited into various bank accounts in Mississippi belonging to Jones and his co-conspirators. On Aug. 25, 2014, in Atlanta, Georgia, Mauricio Warner, of Smyrna, Ga., was sentenced to 240 months, three years of supervised release, and ordered to pay $5,041,869 in restitution. The Court also ordered the forfeiture of bank accounts controlled by Warner that contain $4,185,455. On April 18, 2014, a jury convicted Warner of 16 counts of wire fraud, 16 counts of aggravated identity theft, 16 counts of filing false claims, and two counts of money laundering. According to court documents, Warner filed over 5,000 false tax returns using the names and social security numbers of unsuspecting victims. 2014. New Orleans. Giray Biyiklioglu, a/k/a “Johnny Bryan,” was sentenced to 192 months in prison and ordered to pay restitution of $324,551 in addition to forfeiting fraud proceeds, which included motorcycles, jet-ski and over 80,000 US dollars. Biyiklioglu was found guilty of wire fraud, aggravated identity theft, tax evasion and money laundering. According to court documents, Biyiklioglu devised a scheme to defraud PayPal, Inc. using PayPal accounts he had fraudulently set up in the names of other persons. Biyiklioglu used personal information of six victims in furtherance of his wire fraud scheme. September, 2015 first hearing was made in court for suspects Johnston and Walker ‘conspired together to commit fraud in connection with computers (trafficking in passwords)’. This involved obtaining confidential phone records information in combination with password theft online in order to obtain identification documents and information for unsuspecting victims. This online ID theft case is ongoing as well as thousands of similar cases around the world with many more that have not caught the culprit. 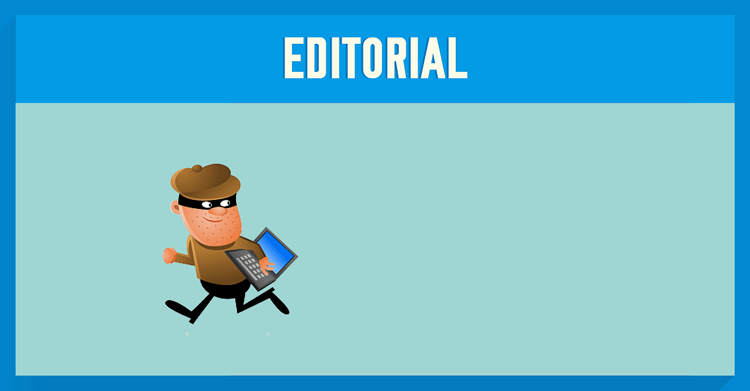 How to best protect yourself from online Identity Fraud? In this age where online privacy and security is much talked about, there are still people who do not take the necessary steps to protect their identity from being stolen. These cases show that anyone could access your personal information and use it for illegal activity. The Onion Router, commonly referred to as Tor, is one of the safest ways to browse the internet anonymously. Tor is an open source browser that takes you to your destination browser through multiple nodes and hops. These nodes are remote computers of volunteers who form a network. Each website is accessed through a random network of nodes, making it difficult for anyone to trace your location. VPNs are arguably one of the best security tools at your disposal. They mask your IP address with one of their own server’s IP address and encrypt all traffic exchanged between the internet and your system. This enables them to help you browse the internet safely as well as anonymously. Additional features like Tor over VPN are great tools to ensure ones privacy online. Developed by Open Whisper Systems, Signal is an encrypted instant messaging and voice calling application for Android and iOS users. It ensures that your messages and video calls are not monitored by anyone as it encrypts all data shared. Private Browsing allows you to browse the Internet without saving any information about which sites and pages you’ve visited and has an option for Tracking Protection in Private Browsing, which prevents companies from tracking your browsing history across multiple sites.